Australian superstar Winx was in top form once again on Saturday, blowing past the field of the Group 1 Queen Elizabeth Stakes to win her 25th consecutive race by five lengths at the line. 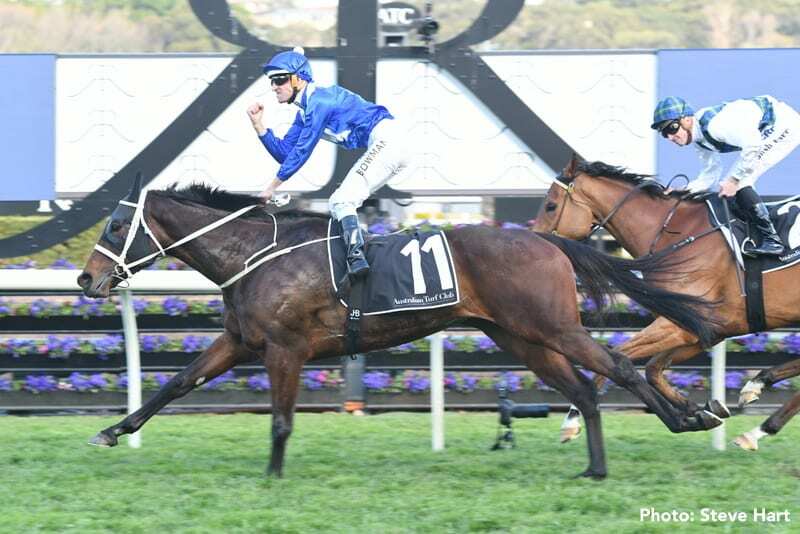 The victory brings Winx on level terms with champion Black Caviar, and her connections couldn't have been more elated. Trailing the field early on, jockey Hugh Bowman gave Winx her cue nearing the final turn. She exploded past her rivals, including Galio Chop and Happy Clapper, burning through the final 600 meters in 33.48 seconds. This entry was posted in NL Article, Racing, Videos and tagged Australia, Black Caviar, chris waller, hugh bowman, Peter Tighe, queen elizabeth stakes, winx by Paulick Report Staff. Bookmark the permalink.